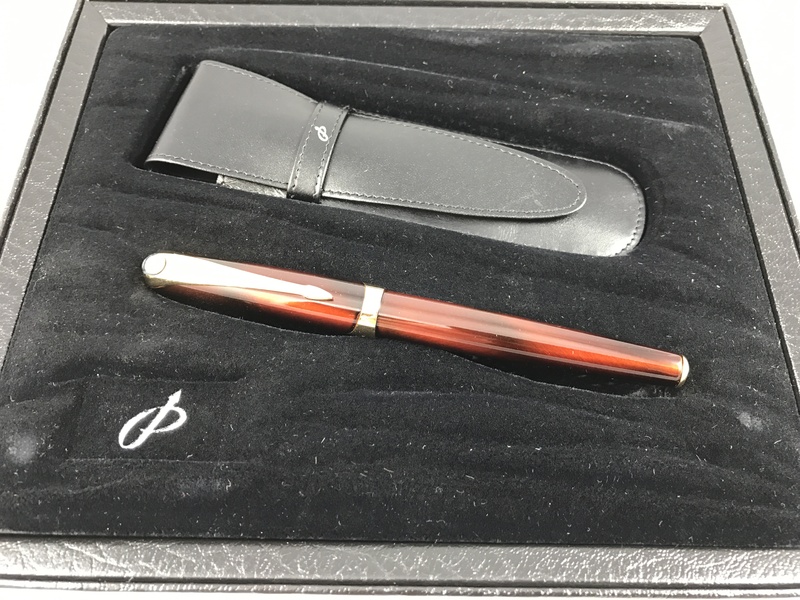 The LeBoeuf pen company was briefly resurrected during the 1990s. After they shut down their pens were readily available on closeout for a while, but that supply has dried out. Their pens were possibly manufactured by Elysee. The models all took about the same size and shape with finishes in either lacquer or heavy gold plated silver and/or gold. They were all cartridge/converter fillers, made in Germany. They each included a stunning Australian Opal in the cap. 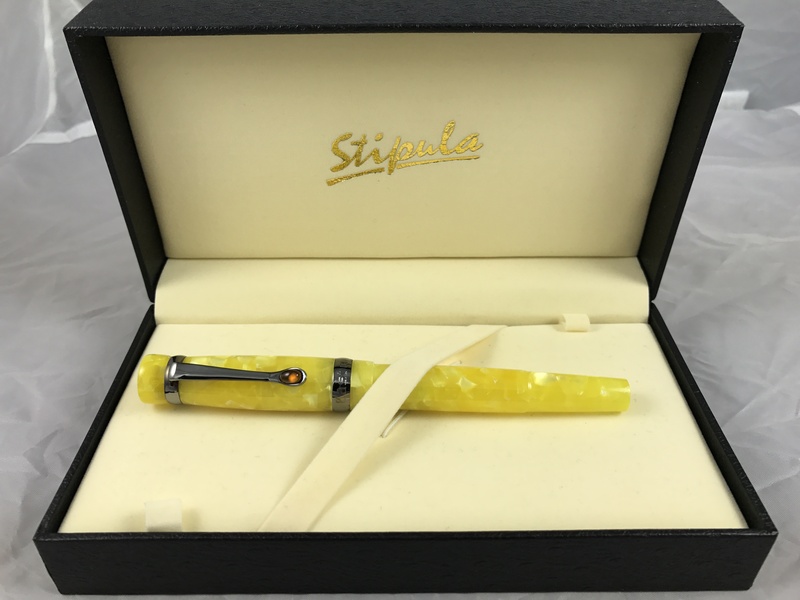 This pen features an 18K fine nib. Converter is included.